Did you love Wilder? Leave me a review! What a wonderful book for lovers of the supernatural! The author has created an atmosphere and culture in the Oak Bluffs town that instantly transports you there. Celeste is a relatable teen heroine that makes me excited to learn more about her world and adventures, I can’t wait for the next book. The perfect easy read: fun, mysterious, and romantic. The characters jump off the pages and into your imagination for a great fantasy escape! This is the perfect gift for any avid teen reader. Five stars!! Brava Ms. DeRosa! Wilder is a great book – a different spin on the vampire love story. I found the story engaging and the characters very likeable. I can’t wait to learn more about Celeste and see what happens next. I would definitely recommend this to anyone who loves a good story. Wilder is a great new take on the other worldly love and coming of age story. The author does a tremendous job of bringing you into the lives of Celeste, Roman, and all of the other great characters in Wilder. I can’t wait to read the next one! Definitely recommended. I am really looking forward to reading the book when it’s out! 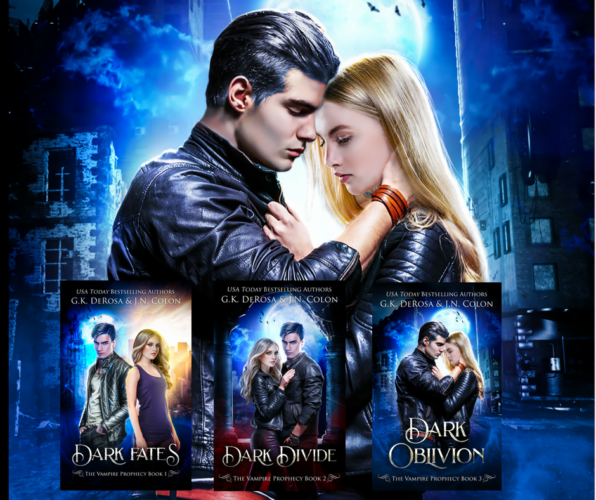 Happy Book Birthday to Dark Oblivion! Dark Fates: The Vampire Prophecy Book 1 is coming on April 24th! 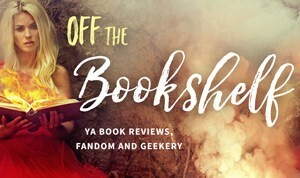 Share book reviews and ratings with G.K. DeRosa, and even join a book club on Goodreads. Copyright © 2019 Wilder: The Guardian Series by G.K. DeRosa. Powered by WordPress and Stargazer.